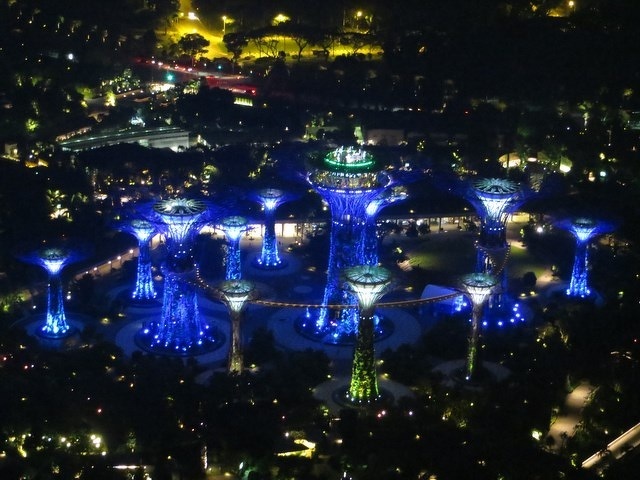 The Gardens by the Bay is a key sustainability-related horticulture project in Singapore. It is in her quest to be a world-class Garden city. Moreover, this includes realizing the vision of being an eco-tourist destination and the botanical capital of the world. 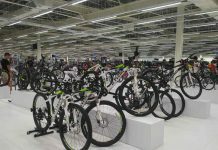 This is of course with environmental sustainability at heart. This article covers in detail a walk through of the garden’s key attractions with elaborative photos taken on my trips there. 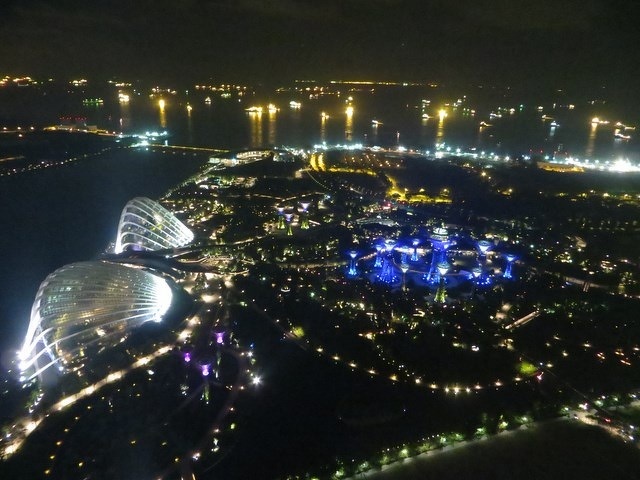 Overview of Singapore Gardens By the Bay. 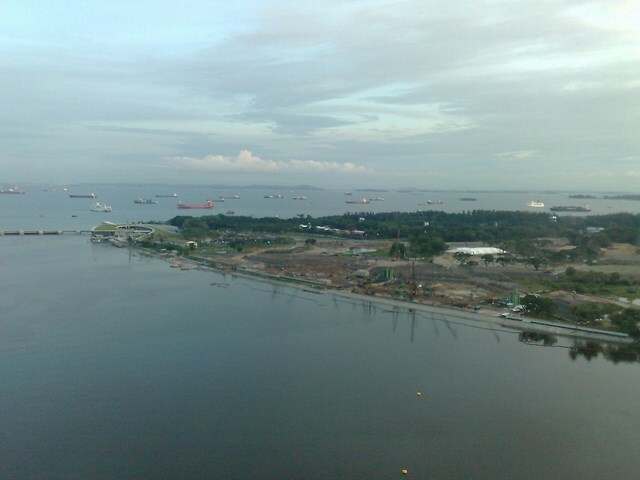 The Gardens project was first conceived as an initiative and concept by the Singapore government. Furthermore, it is a mean to raise environmental awareness for the people and educating the public of the consequences of global climate change. 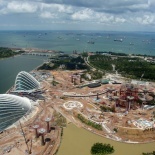 Moreover, it is one of Singapore’s most major sustainable projects to date. Henceforth setting the standard for a new generation of horticulture development and management practices globally. Also, the attraction touches on factors such as sustainable energy-use and extensive waste and water management. 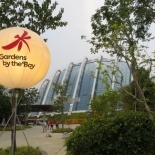 Furthermore, the gardens itself is a “national garden” is managed by National Parks Board (NPB). 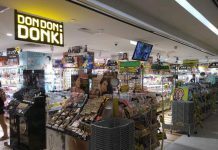 It is synonymous to that of Hyde park in London and New York Central park. 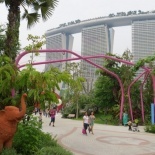 Notably, each park is each unique in their own part. 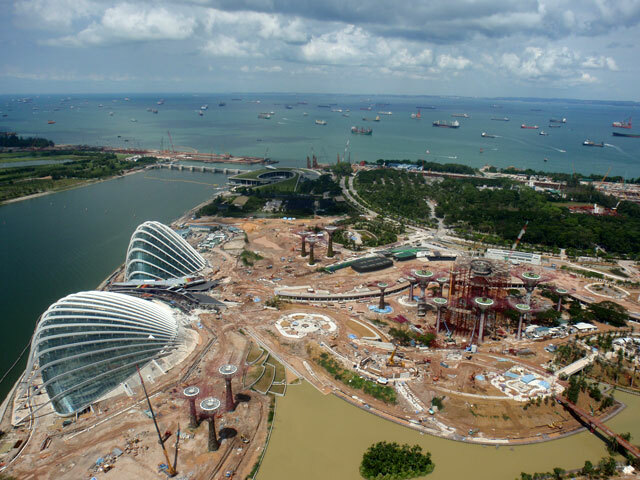 Moreover, the Singapore development brings this ideology further with an unobtrusive incorporation of green spaces effectively into urban areas. 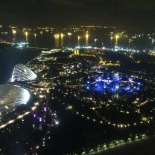 Additionally, the attraction shares within the neighborhood, the heart of the Singapore Marina bay and Singapore Central business district. Notably, the gardens sit on 100 hectares of completely man-made reclaimed land acting as a greenbelt for the central business district. 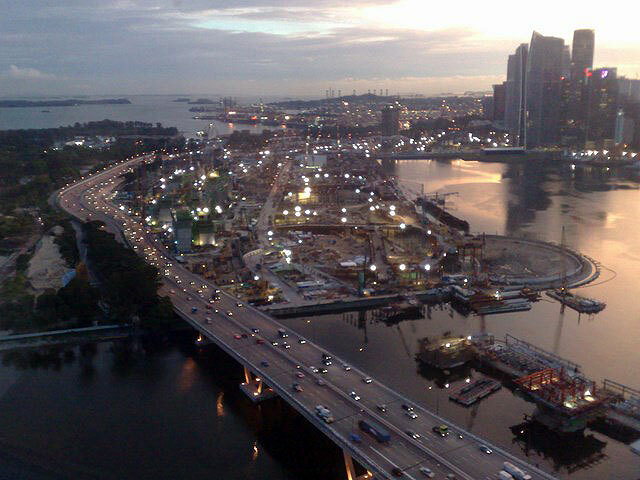 The green area offsets the environmental damage of the nearby concrete jungle. 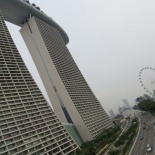 Moreover, it is located adjacent to the Marina Reservoir and part of the downtown expansion of the Marina Bay. 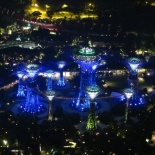 Furthermore, the Gardens by the Bay was planned to be as self-sufficient as possible with minimal knock back and external environmental impacts of the project. 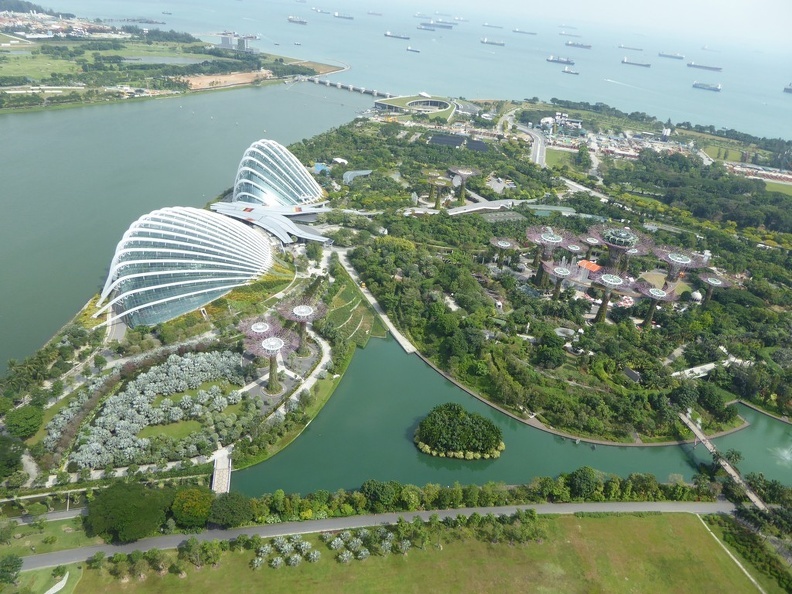 Construction of the Gardens took 5 years and about $1 billion SGD to create. 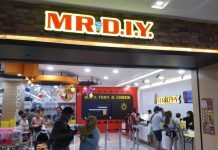 The project budget was kept manageable through cost-efficient technologies, public funding and corporate sponsorship means. Also, 20% of the budget was spent on 2,000 plant species from almost every continent, totaling almost 700,000 plants in all. 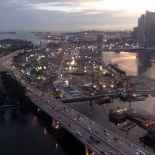 Moreover, the remaining 80% of the budget went into construction. 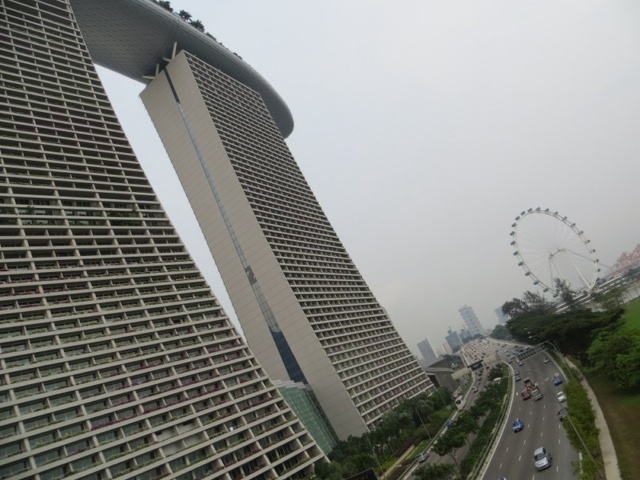 Also, green construction is the name of the game, with an extensive use of sky roofs, green roofs and 100% recycled concrete throughout the infrastructure. 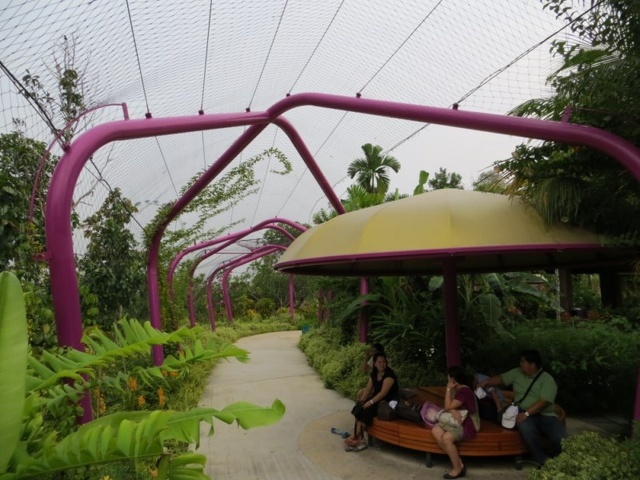 Additionally, the show garden highlights include a cluster of man-made Super trees, two enclosed conservatories (green houses). 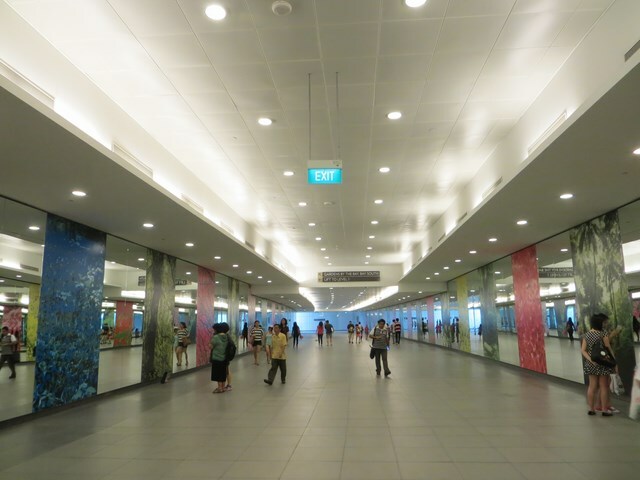 Moreover, there is also an Orchidetum built featuring flower displays and the best of Singaporean horticulture. This is delivered through an array of floral shows, orchid shows. 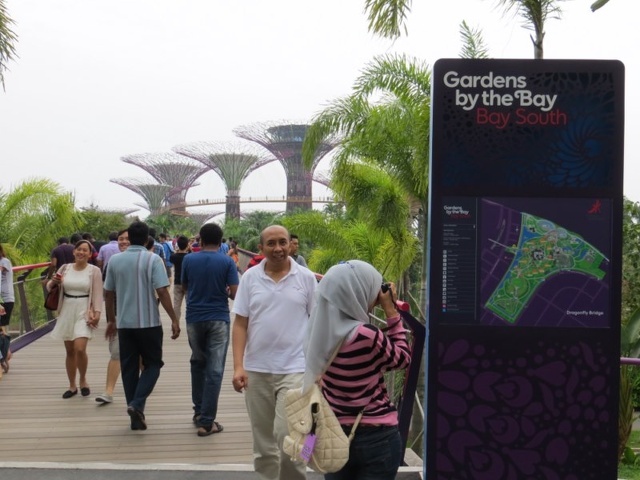 The gardens opened to the public on 29th June 2012. 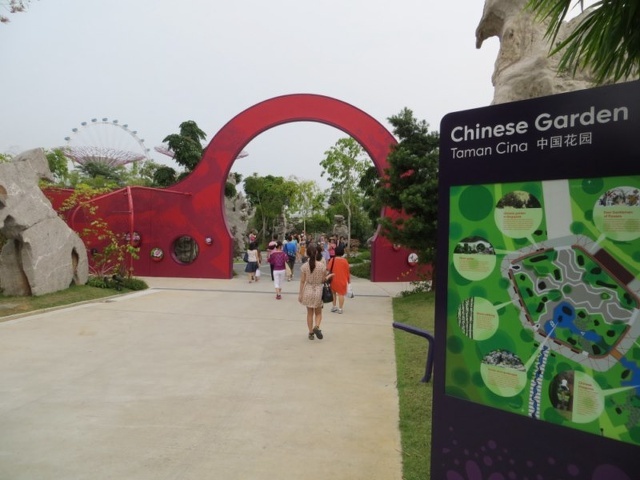 Upon completion, the Gardens are one of Singapore’s main global statements on their stand on sustainability issues. 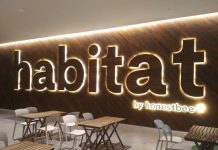 Moreover, it pushes her plans to promote her initiatives as an international Eco-Tourism Icon, environmental role-model and a global Hydro-hub. 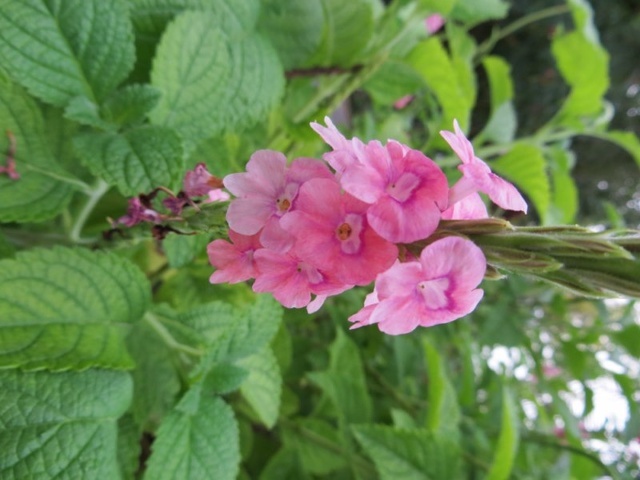 Additionally, the gardens are economically self-sustainable and profitable economically too. 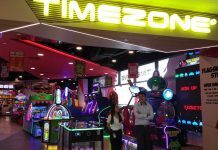 Moreover, on-site revenue generated from indoor events space including retail and various food and beverage outlets. 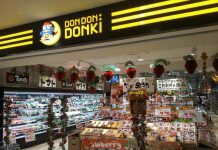 This supplements and finances recovery the project cost and daily maintenance. Notably, over 100,000 people visited the Gardens in the first three days of its opening and one million visitors within two months of opening. To date, the gardens are expected to receive at least 2.7 million visitors each year and generate more than £500 million annually in tourism receipts. 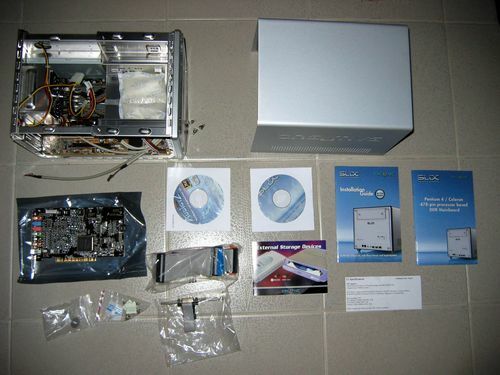 Henceforth allowing the project to break-even in 1-2 years. 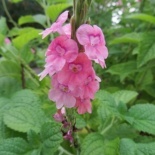 Furthermore, the Gardens themselves are well served by public transport and is the recommend transport mode. 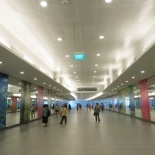 The closest station, Bayfront MRT is located right below the Marina Bay Sands integrated resort with air conditioned south-bound underpass route direct to the garden’s door step. Moreover, if you are driving, set your GPS to 18 Marina Gardens Drive or simply exit at exit 17A along east coast parkway (ECP). 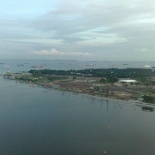 There are 3 different public parking spots along the Marina Gardens Drive from Marina Boulevard. 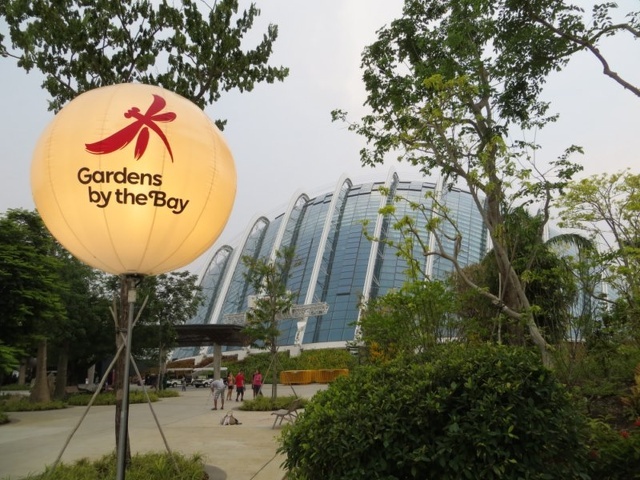 Much of the green space of the garden is public-accessible area and consists of three constituent waterfront gardens, namely the Bay South Garden, Bay East Garden and Bay Central Garden. Additionally showcased are the best of tropical horticulture and garden artistry, with mass displays of tropical flowers and coloured foliage. Moreover, the northern entrance will pop you right at the Dragon fly lake, with a linking bridge to the Heart of the gardens via the dragonfly bridge. 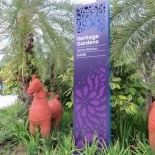 Also, here, you will be greeted by a variety of themed Heritage Gardens showing the various ethnics cultures. 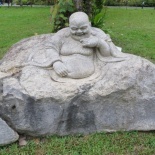 It reflects the unique societal cultures that make up diversity in Singapore starting with a Malay garden. 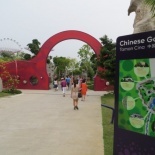 Notably, there are large educational elements to these Gardens. 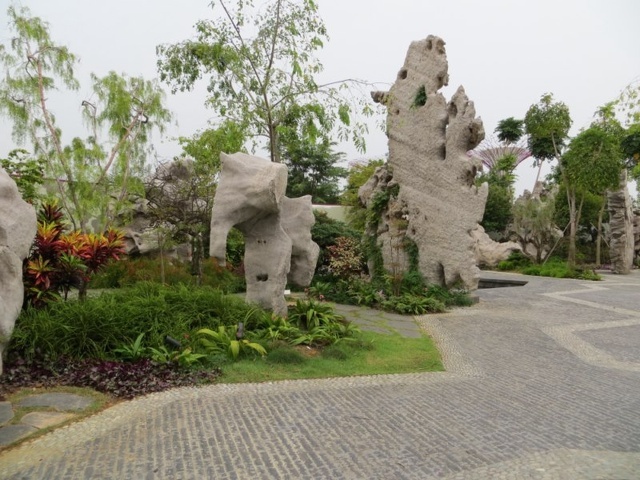 It comprises of multiple open-air horticultural themed collections. 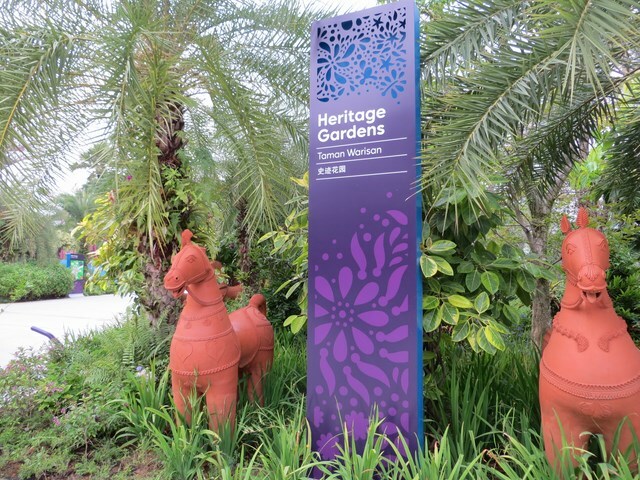 Also, there is a garden themed after the city-state’s colonial heritage, as well as an early Malay village themed to the reflection of Community which teaches the role of edible fruits. Moreover, you will recognize an authentic looking Kampong House. 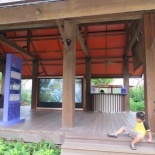 Additionally, it serves as one of the first electronic info booth visitors can explore. 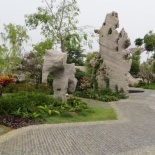 Moreover, the Chinese garden offers a distinct combination of earth and water elements. This is portrayed through an assortment of sculptures and water bodies, including a number of rock sculptures, craving and water features. 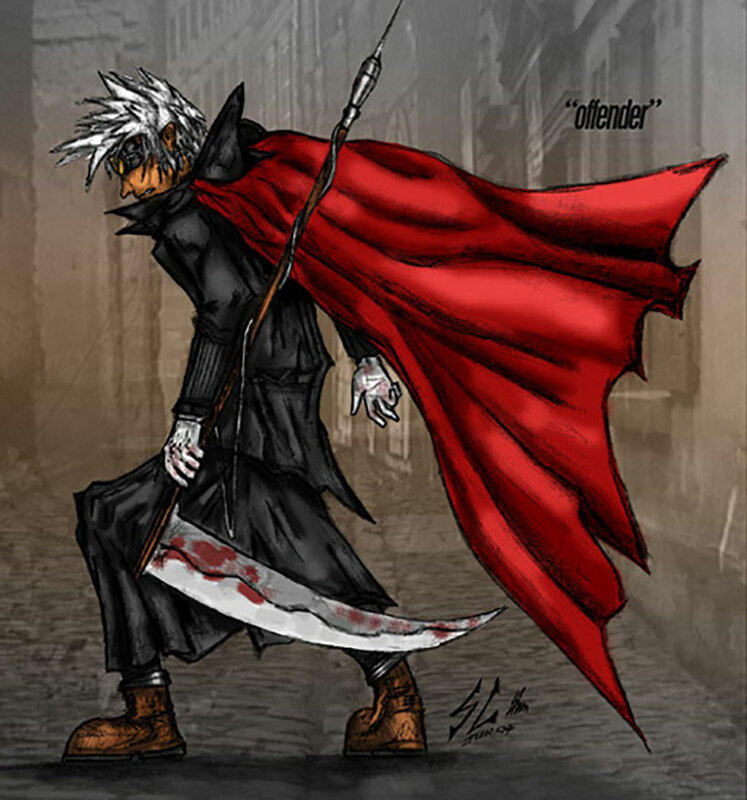 Also, it showcases the oriental atmosphere with a mix of Ying and Yang elements. 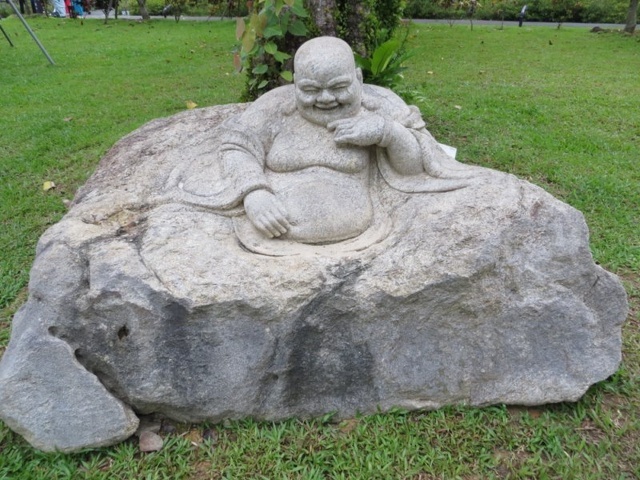 You might even notice a Laughing Buddha sculpture. 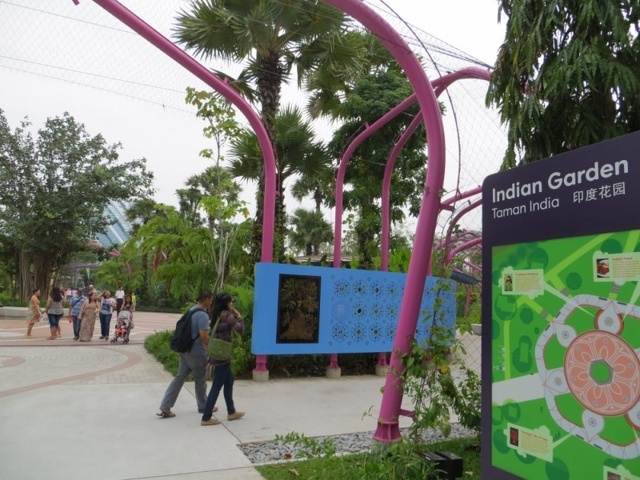 Moreover, the Indian garden is themed after a star flower motif. There are various info boards explaining the Indian cultural elements. In particular are sculptures of religious significance to Hinduism as well as a myriad of flower motifs decked around. Also, throughout the cultural gardens, various interpretive media and narratives will bring to life the story of plants, with dining and retail experiences as well as other forms of edutainment. Just look for the info-LCD screens littered around the park. 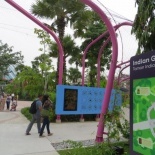 Moreover, the Gardens provide many opportunities for the society to connect to sustainable living as an educational and learning centre. 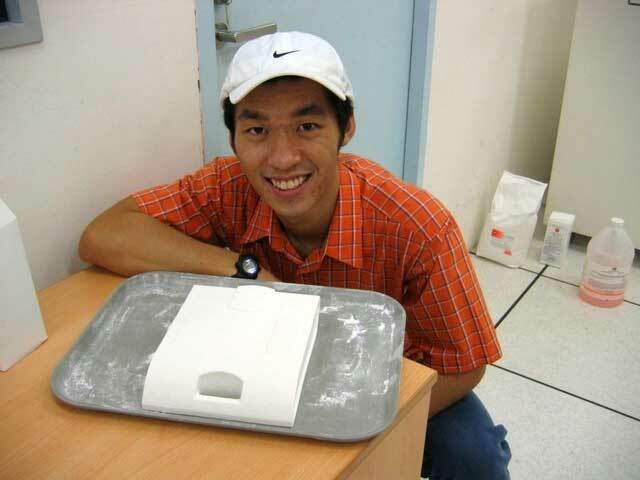 Notably, this is done through education, government campaigns or programs. 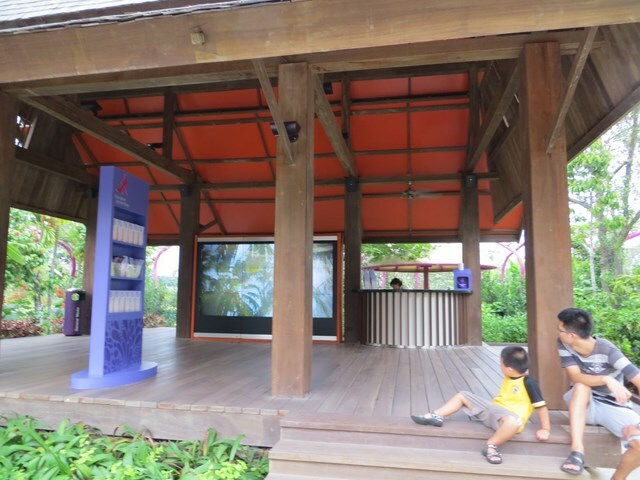 Also, the gardens also serve as a diverse educational hub, with attractions and displays telling the story of climate change through interactive display media. This includes several infotainment attractions featuring the consequences of climates change. 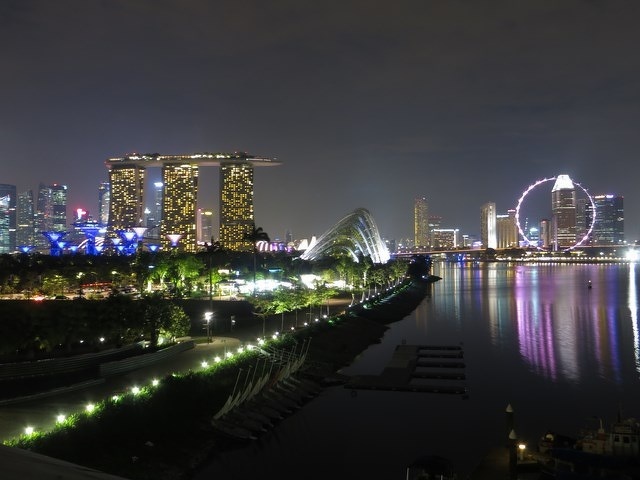 Moreover, it paints the scenario that Singapore’s success as a city state does come with an environmental price, particularly when most of the environmental damage is often irreversible. This is especially on the toll on native animal and marine life due to removal of natural habitats (contrary to over hunting and overfishing) which led to their eventual destruction. 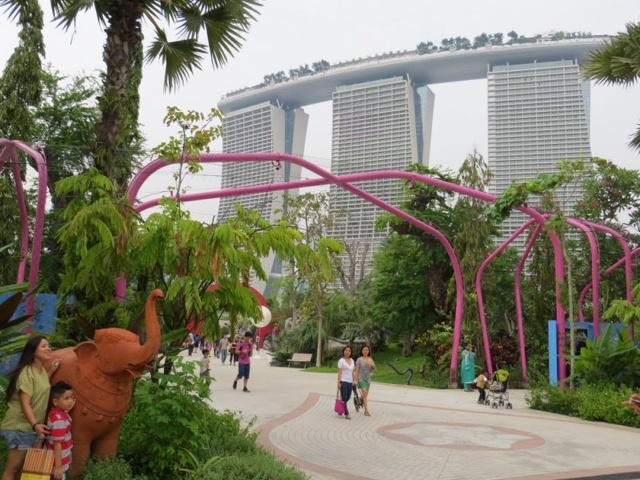 All in all, the Gardens by the bay is a really nice addition to green spaces in Singapore, particularly in the central business district area. The garden presence dos really soften up the hard concrete jungle image. 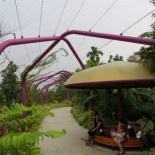 Moreover, it is an excellent complement to the existing Singapore Botanical Gardens. View more photos in the Gardens by the Bay Full Photo Gallery.